Jerry Penfound, from London, Ontario, was hired by Ronnie Hawkins in 1961 to play horns in the Hawks. Penfound, nicknamed "Ish" or "Ish Kabibble", mostly played the baritone saxophone, often functioning as a soul-band horn section together with Garth Hudson on tenor or soprano sax. 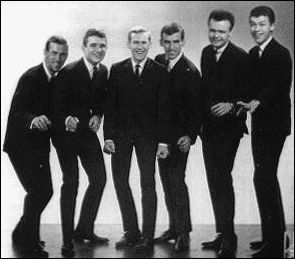 After the Hawks' breakup from Ronnie Hawkins late in 1963, Jerry Penfound played flute and sax with Levon and the Hawks/The Levon Helm Sextet until he left the group in 1965. He can be heard on the track "Do the Honky Tonk", recorded live with Levon and the Hawks in 1964, on the Band compilation Across the Great Divide. After the Hawks Penfound moved home to London, Ontario to play with The Capers, a reconstituted version of Garth Hudson's former band Paul London and the Capers. That group released two LPs - though Penfound was only on the first.